*HOT! * Amazon – Wildone Stainless Steel Cups and Magnetic Measuring Spoons Set of 13 just $12.49 after Code (reg $24.99)! I love that this set comes with a large variety of cup sizes – more than the standard set! I’m picking one up for myself! 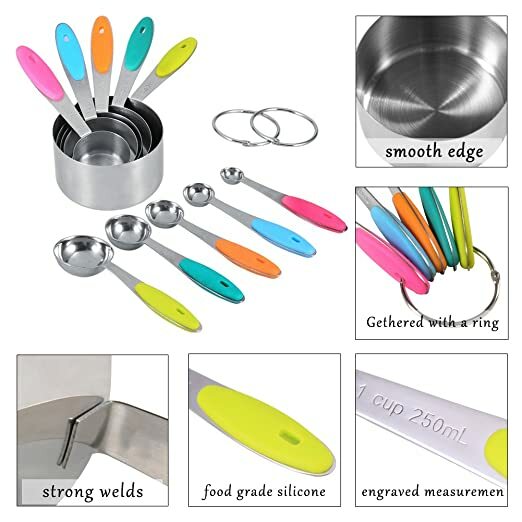 Amazon is offering the Wildone Stainless Steel Cups and Magnetic Measuring Spoons Set of 13 for $24.99 – $12.50 with promo code CB49TBSX = just $12.49 with FREE prime shipping or free shipping with $35 purchase. You can order multiple measuring sets at the discounted price in the SAME transaction! *GREAT PRICE! * Amazon – 10-piece 18/8 Measuring Cups and Spoons Set just $9.99 after Code (Reg $17.99)! I have a set of these for baking year-round and a 2nd set for Pesach! 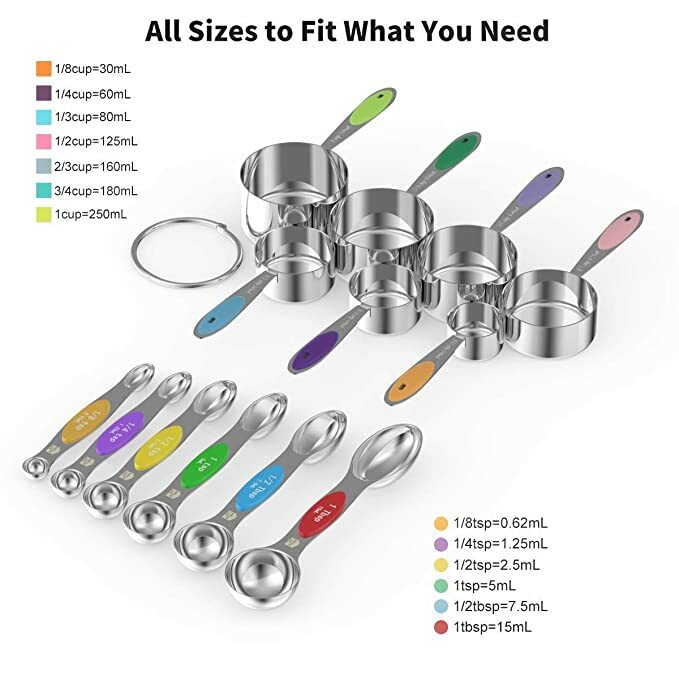 Score the 10-piece 18/8 Measuring Cups and Spoons Set for $17.99 – $8 with promo code XZ588LO7 = just $9.99 with FREE Prime shipping or free shipping with $35 purchase. 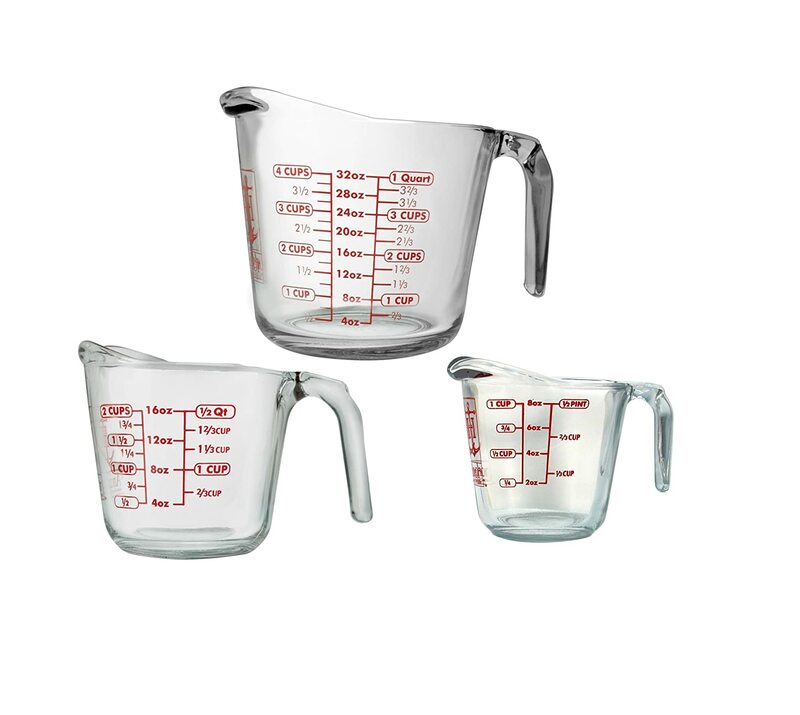 You can get multiple measuring cup sets at the discounted price in the SAME transaction! *HOT! * Amazon – Mountain Woods 3 Piece Rolling Pin Recipe Card Holder Set just $2.28!! I just picked this up for Pesach! HURRY to score the Mountain Woods 3 Piece Rolling Pin Recipe Card Holder Set for just $2.28 with FREE Prime shipping or free shipping with $35 purchase on Amazon! 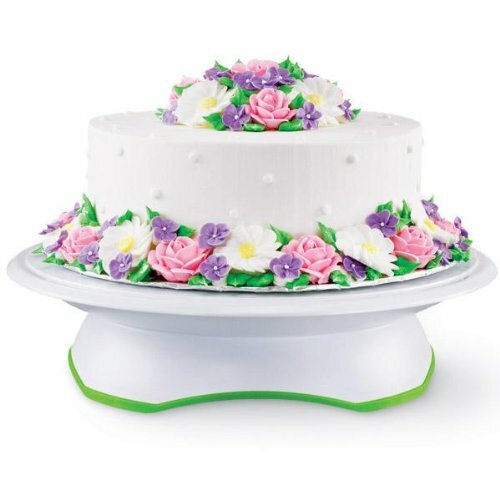 Amazon – Cake Turntable,Best 12.2 ” Revolving Cake Decorating Stand just $7.79 after the Code (reg $12.99)! 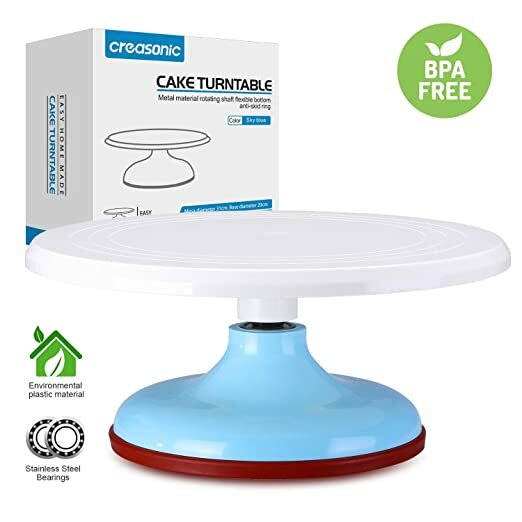 Make decorating your cakes much easier with this Cake Turntable,Best 12.2 ” Revolving Cake Decorating Stand for $12.99 – $5.20 with promo code TURNTABL = just $7.79 with FREE Prime shipping or free shipping with $35 purchase on Amazon! You can order multiple turntables at this discounted price in the SAME transaction! Amazon – 10-piece 18/8 Measuring Cups and Spoons Set just $13.99 after Code (reg $20.99)! PESACH! Pick up a set for Pesach or year-round use. I have a similar one and love it! 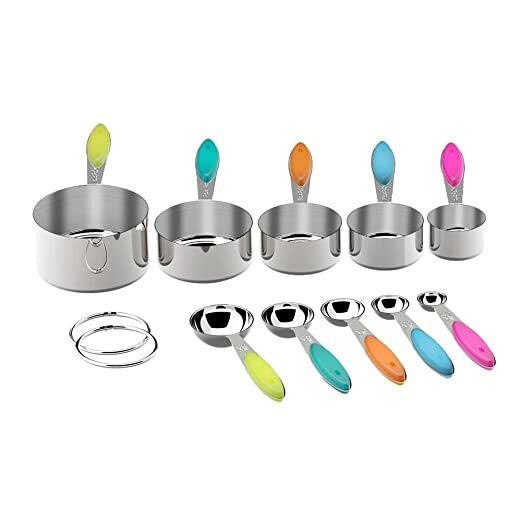 Score this 10-piece 18/8 Measuring Cups and Spoons Set for $20.99 – $7 with promo code 2YDVWT3E = just $13.99 with FREE Prime shipping or free shipping with $35 purchase! You can buy multiple sets at the discounted price in the SAME transaction! Amazon – Silicone Basting Brush 8pc Set just $2.40 after Code (reg $7.99)! 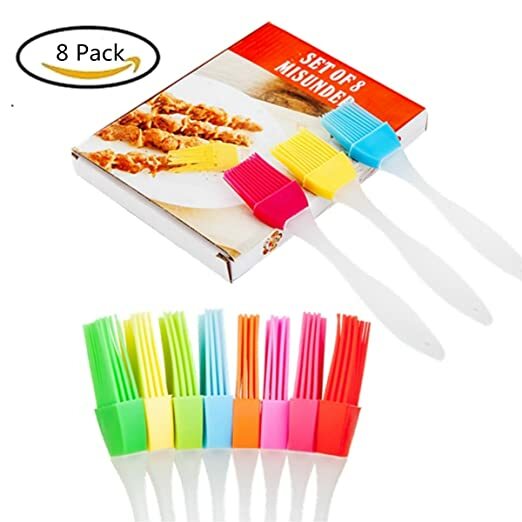 Snag this Silicone Basting Brush Set, 8pc for $7.99 – $5.59 with promo code 6YXPJKTU= just $2.40 with FREE Prime shipping or free shipping with $35 purchase on Amazon! *HOT! * Amazon – 3pc Set Oval Baking/Serving Dishes just $19.50 after Code (reg $64.99)! 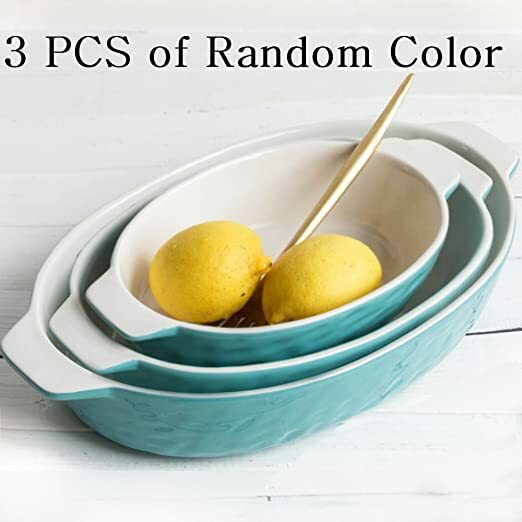 Hurry to Amazon to snag this 3pc Set of Oval Baking/Serving Dishes for $64.99 – $45.49 with promo code BWV2QDSA = just $19.50 with FREE Prime shipping or free shipping with $35 purchase! You can order up to 5 sets at the discounted price as long as you purchase them all in the SAME transaction! UNIQUE WAVY AND FASHION DISPLAY: The Krokori bakeware features unique wavy pattern design and bright color for easy daily use. Classical and remarkable display can be a charming decoration in your table and kitchen. 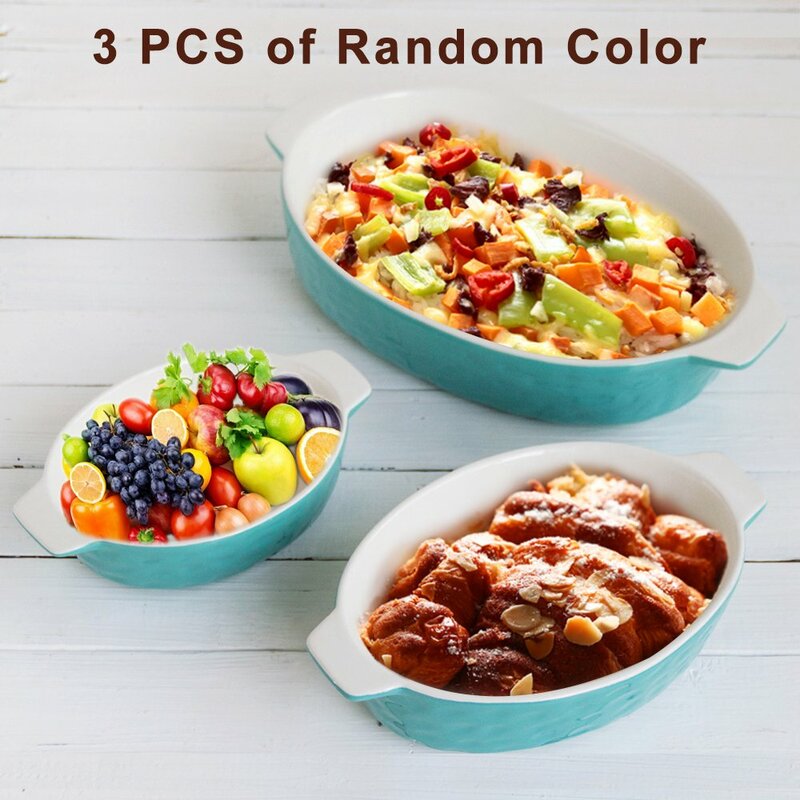 ENVIRONMENTAL-FRIENDLY, LONG LASTING COLOR AND EASY CLEANUP: The baking dishes are made of high quality and Eco-friendly glaze. 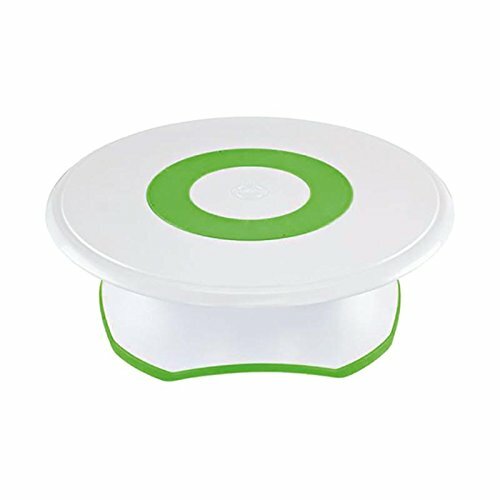 Poi- and PTFE-free hybrid ceramic nonstick resists flaking or chipping, long lasting and offer unique baked good experience and very easy cleanup. DURABLE AND SAFETY UNDER HIGH TEMPERATURE: This baking pan set is made of durable, high temperature material, oven safe to 500°F. 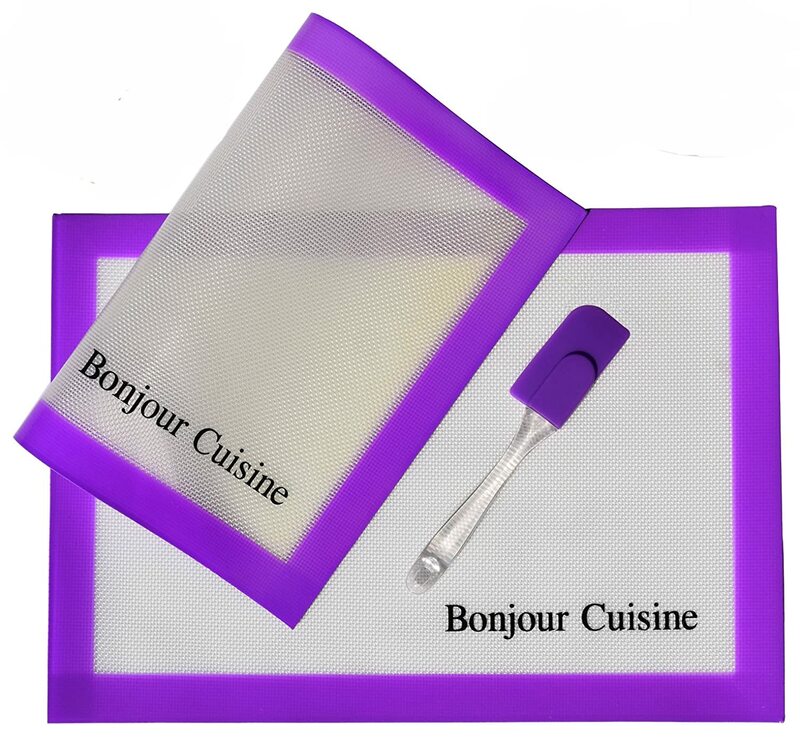 It can be used in the oven, microwave, refrigerator and dishwasher. NOTE: No direct fire and induction cooker. Amazon – 10-piece 18/8 Stainless Steel Measuring Cups and Spoons Set just $15.99 (reg $22.99) after $7 Code! I have similiar measuring cups for baking and they are awesome! I love the fun colors! Amazon is offering this 10-piece 18/8 Stainless Steel Measuring Cups and Spoons Set for $22.99 – $7 with promo code PCFTCFH2 = just $15.99 with FREE Prime shipping or free shipping with $35 purchase! You can order multiple sets with the discount as long as you do so in the SAME transaction! 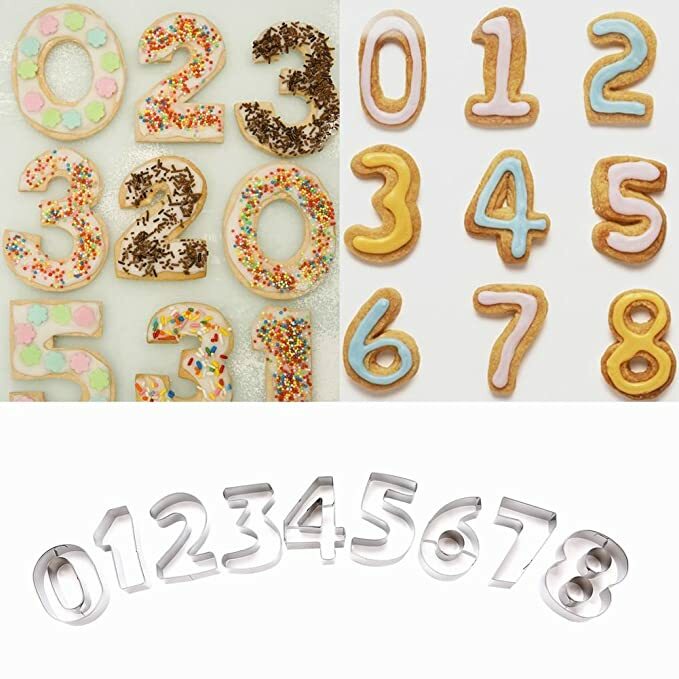 Amazon – Russian Piping Tips Set (258 pcs) just $9.99 (reg $19.99) after the Code! 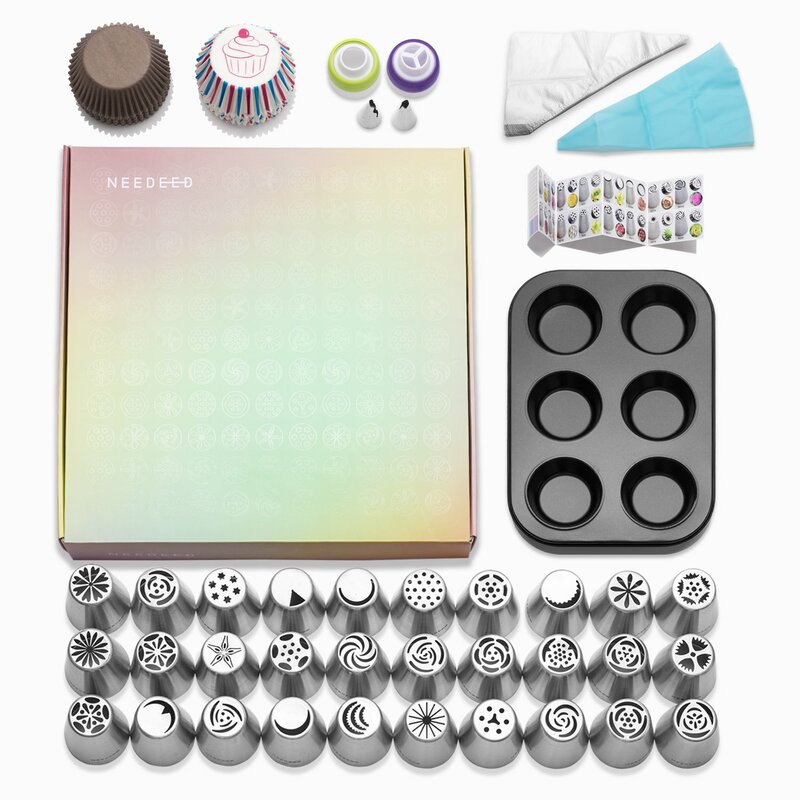 Amazon is offering the NEEDEED Russian Piping Tips Set (258 pcs), Icing Tips Russian Tips Baking Supplies Set, 32 Icing Nozzles Extra Large Cake Cupcake Decorating supplies for $19.99 – $10 with code 2XYC668Z = just $9.99 with FREE Prime shipping or free shipping with $35 purchase! YES, you can order multiple sets at the discounted price as long as you buy them all in the SAME transaction! Cute 3pc set! 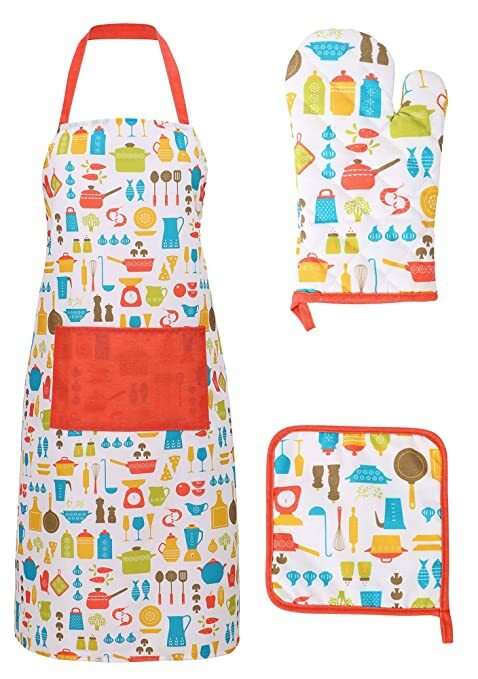 Score the Kitchen Printed 3 Pieces Apron Oven Mit Pot Holder Set for $16.99 – $7.14 with promo code MAGMAPRO = just $9.85 with FREE Prime shipping or free shipping with $35 purchase on Amazon! Multiple styles to choose from, but they are selling out FAST! You can purchase multiple sets in ONE transaction and receive the discount on ALL of them! 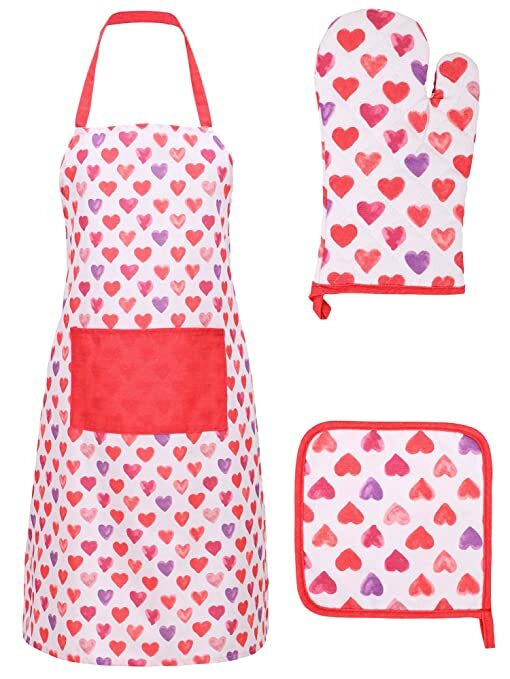 Packages include: one apron, one oven mitten and one pot holder. *BEST PRICE! 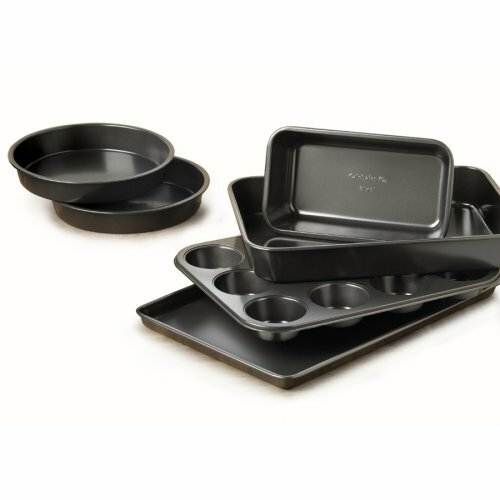 * Amazon – Calphalon Nonstick Bakeware Set, 6-Pieces just $15.99 (reg $39.99)! Pick up the HIGHLY rated Calphalon Nonstick Bakeware Set, 6-Pieces at its BEST PRICE of just $15.99 (reg $39.99) with FREE Prime shipping or free shipping with $25 purchase! #1 Best Seller! A MUST-HAVE in EVERY Kitchen! Low stock on this item, so hurry if you want it! *PRICE DROP! * Amazon – Pyrex 3-Piece Glass Measuring Cup Set just $11.90! 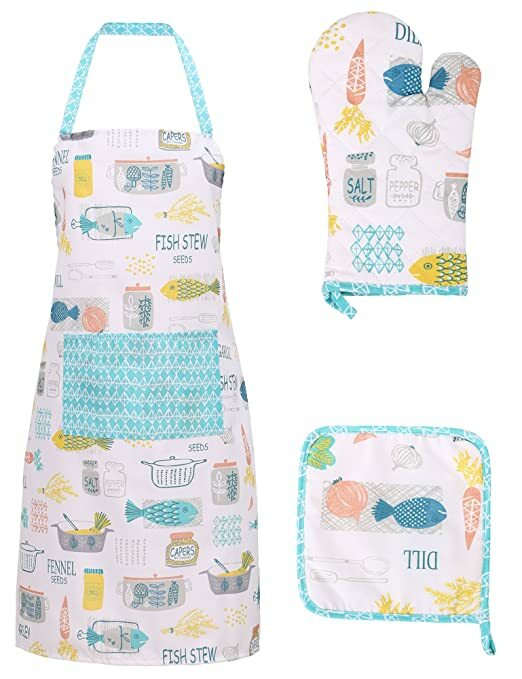 This set is a MUST-HAVE in every kitchen! Snag the Pyrex 3-Piece Glass Measuring Cup Set for just $11.90 (reg $14.99) on Amazon with FREE Prime shipping or free shipping with $49 purchase! Set includes: (1) each 1-Cup, 2-Cup, and 4-Cup Capacity Measuring Cups. *HOT! 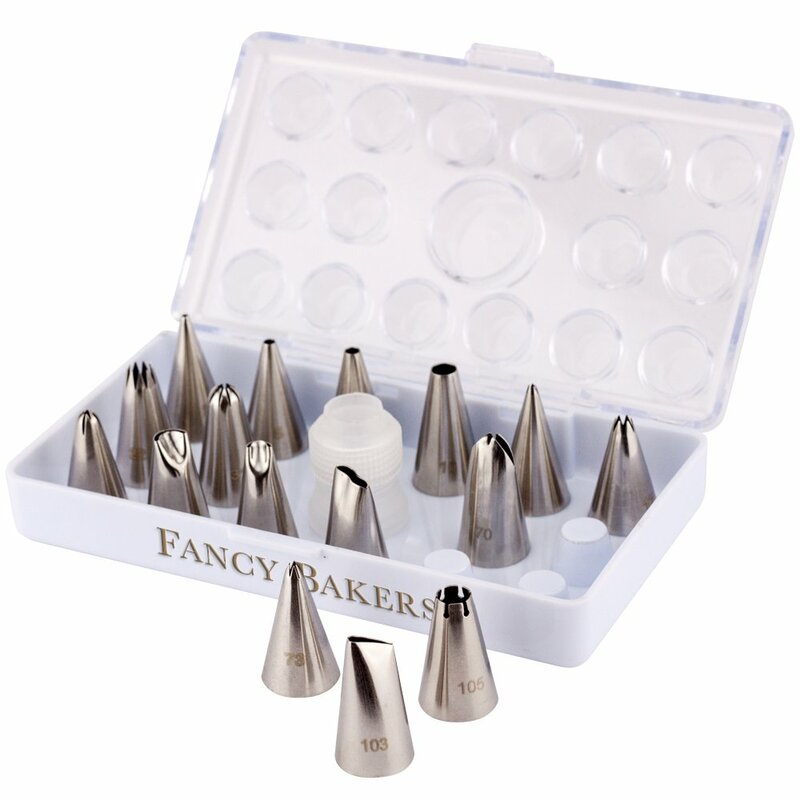 * Amazon LIGHTNING DEAL – FancyBakers 17 Piece Cake Decorating Tip Set, Kit includes 16 of The Most Popular Stainless Steel Tips, Reusable Coupler & Storage Case Also for Pastry & Icing Cup Cakes just $10! **AMAZON LIGHTNING DEAL** This item is available for a limited time or until 100% claimed! 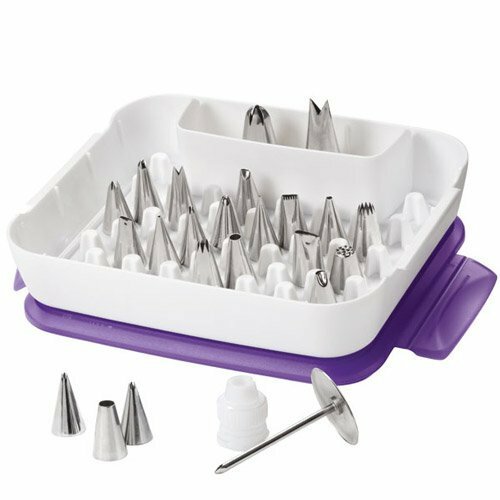 Snag the FancyBakers 17 Piece Cake Decorating Tip Set, Kit includes 16 of The Most Popular Stainless Steel Tips, Reusable Coupler & Storage Case Also for Pastry & Icing Cup Cakes for just $10 with FREE Prime shipping or free shipping with $35 purchase! 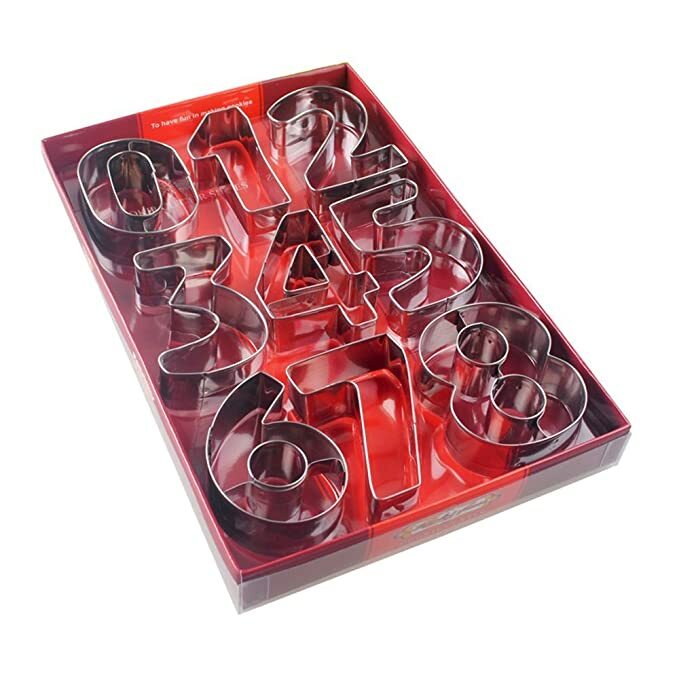 Amazon Deal of the Day: Big Savings on Select Wilton Baking Tools! Shipping is FREE with your Prime account or with $49 purchase! Click Here to shop the FULL Sale! Wilton 2104-2531 Deluxe Decorating Tip Set just $15 (reg $39.38)! 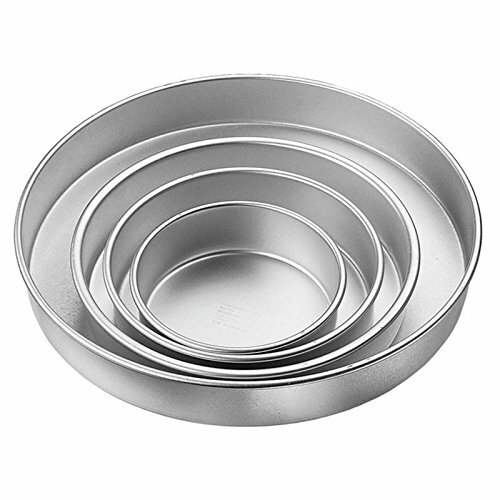 Wilton Performance Cake Pans Round Pan 4 Piece Set just $19.90 (Reg $27)! Wilton Trim ‘n Turn ULTRA Cake Turntable Rotating Cake Stand, 307-301 just $14.40 (reg $31)! *GREAT PRICE! * Amazon – Pyrex 3-Piece Glass Measuring Cup Set just $11.99 (reg $15.99)! This is a MUST HAVE kitchen essential!! 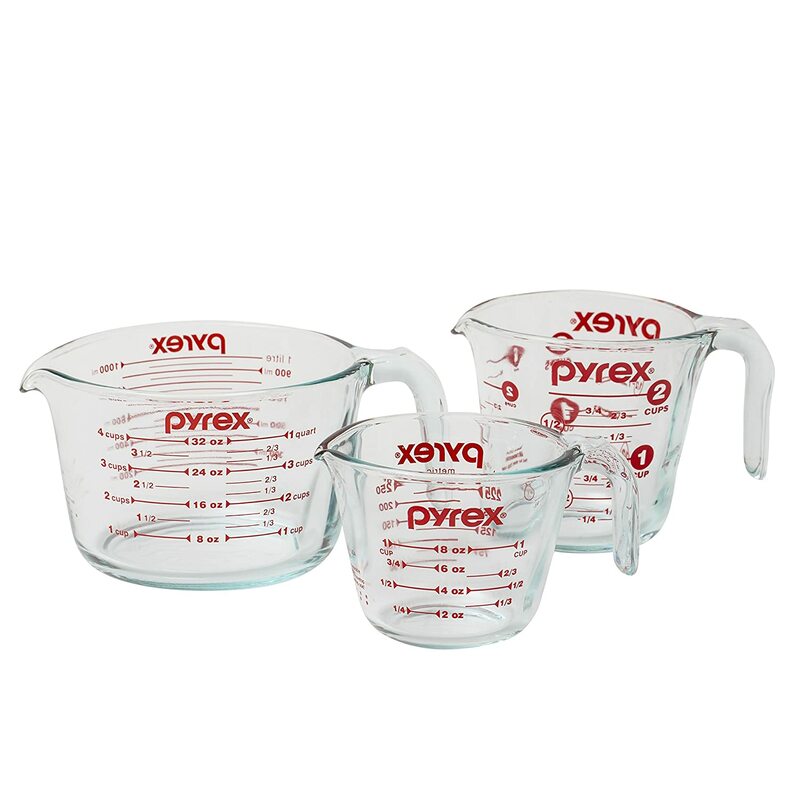 Score the Pyrex 3-Piece Glass Measuring Cup Set on a PRICE DROP to just $11.99 (Reg $15.99) with FREE Prime shipping or free shipping with $49 purchase on Amazon! #1 Best Seller! *HOT! 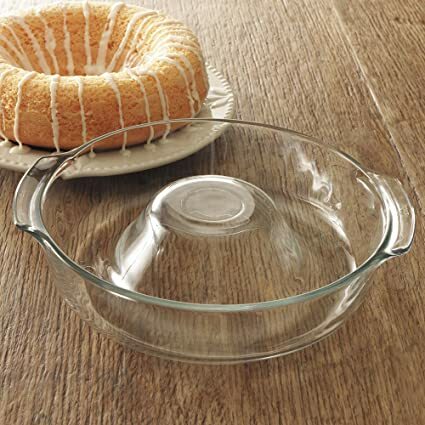 * Amazon – Libbey Ring Pan Glass Baking Dish just $6 (reg $14.95)! Pick up the Libbey Ring Pan Glass Baking Dish on Amazon for just $6 (reg $14.95) with FREE Prime shipping or free shipping with $49 purchase! Great reviews! *BEST PRICE! 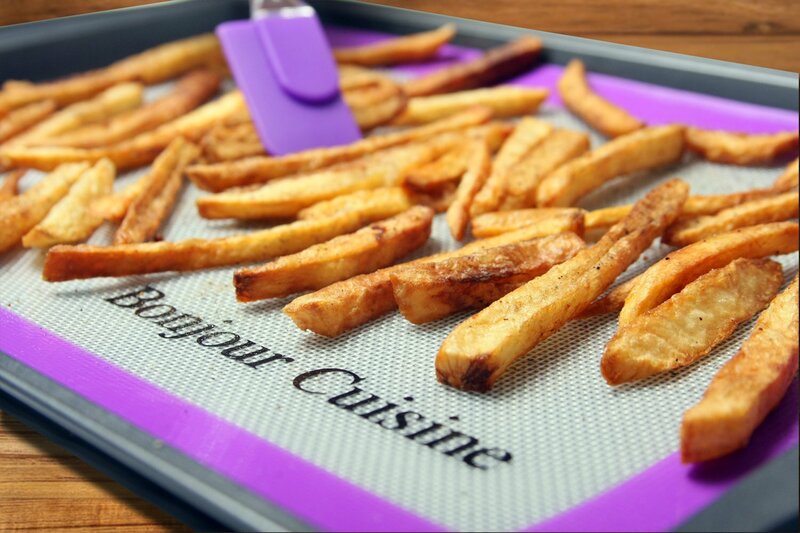 * Amazon – Silicone Baking Mat Set of 2 With Spatula just $6.95 ($18.90)! 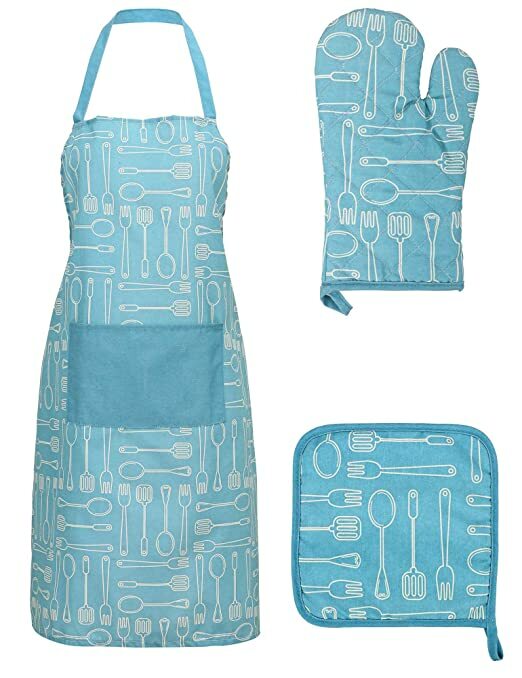 Amazon is offering the Silicone Baking Mat Set Using in Pans with Measurements for Non Stick Cookie Sheet One Spatula Like Gift Bonus Lifetime Guarantee Kids Friendly for just $6.95 (reg $18.90) with FREE Prime shipping or free shipping with $49 purchase! BEST PRICE! 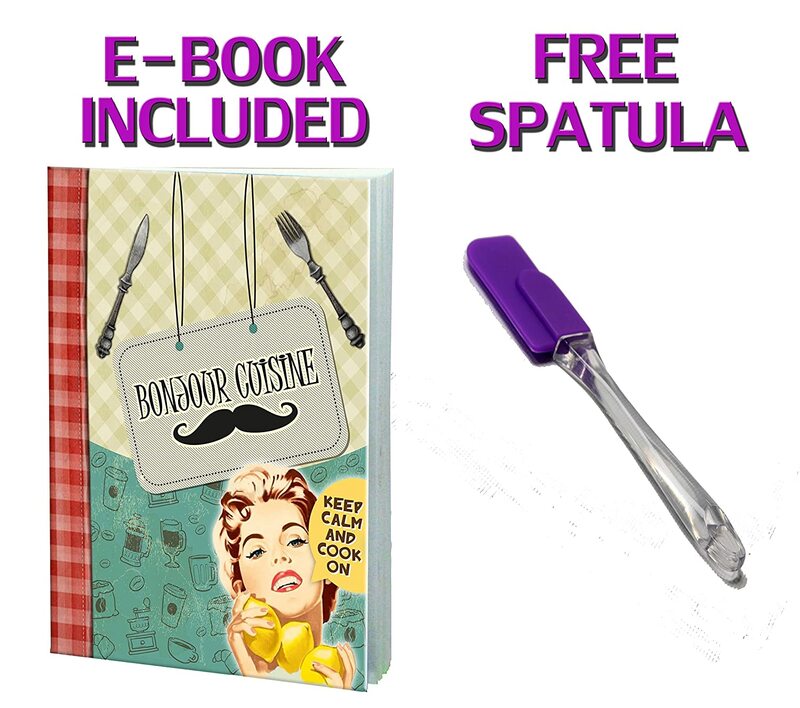 Listing includes 2 silicone baking mats and a spatula! 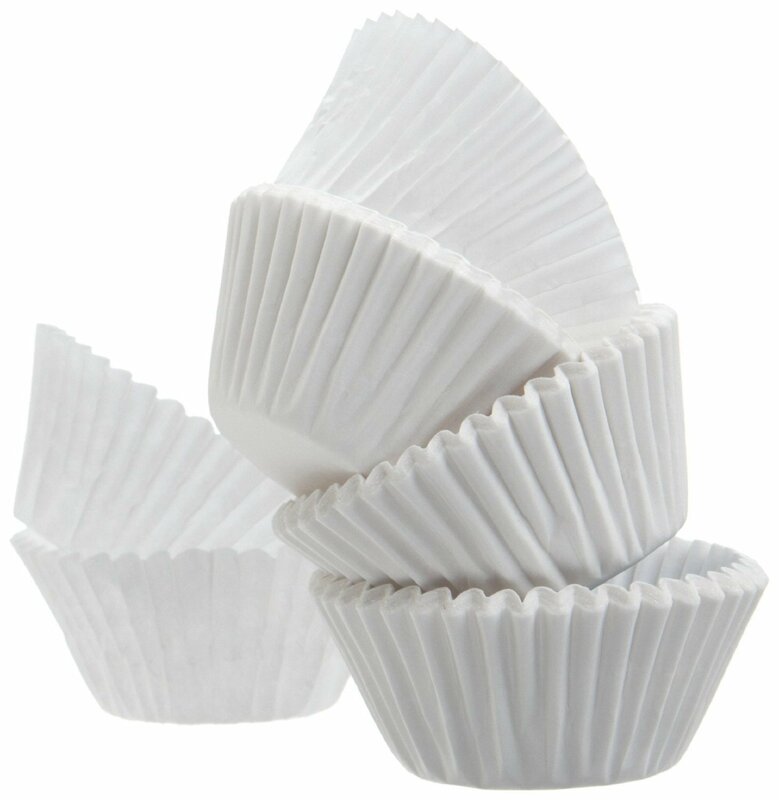 Amazon – Standard Size White Cupcake Paper – Baking Cup – 1 Pack Cup Liners 500 Pcs just $6.49! If you bake a lot , you’ll want to stock up on these A World of Deals Best Quality Standard Size White Cupcake Paper – Baking Cup – 1 Pack Cup Liners 500 Pcs on Amazon for just $6.49 with FREE Prime shipping or free shipping with $49 purchase!